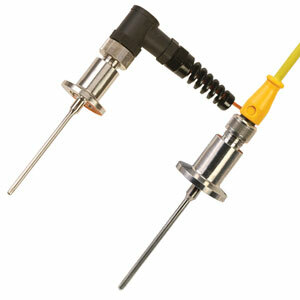 Nota: (*) = Specify Type (“K”, “T” or “E” thermocouple). (**) = Specify junction style (“G” = grounded, “U” = ungrounded). (***) = Specify the probe length in inches (“0300” = 3", “0600” = 6", “0950” = 9 ½", “1200” = 12"). For lengths between those shown, indicate the required length as shown above and select the next longer length price. For lengths greater than 12", add the additional cost per inch to the 12" price.